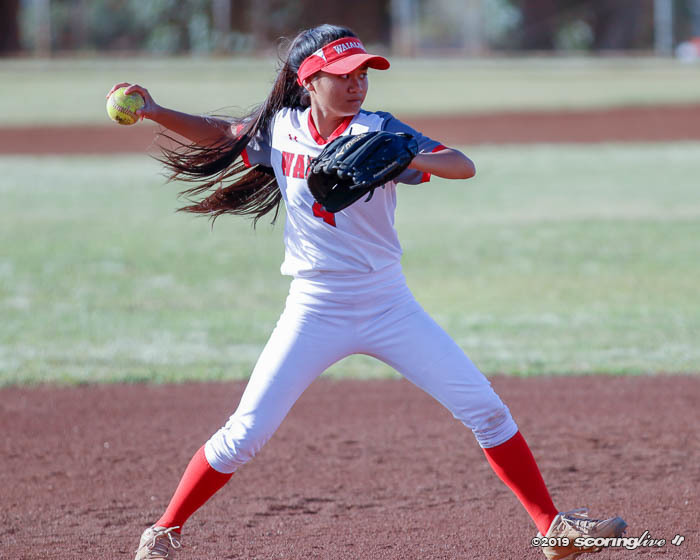 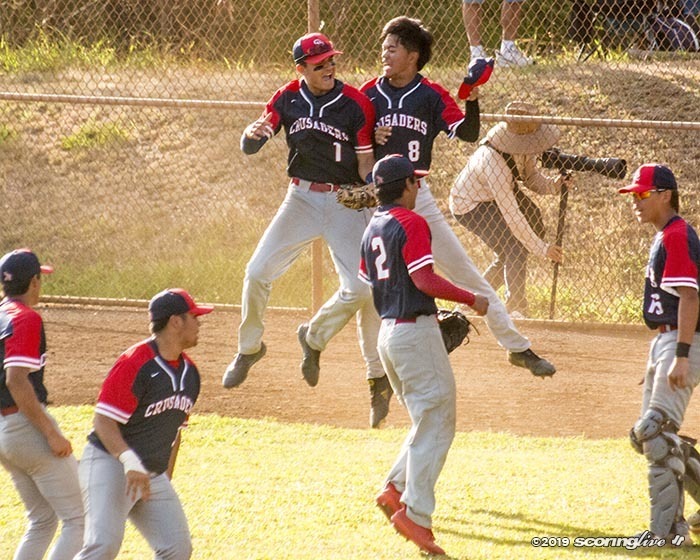 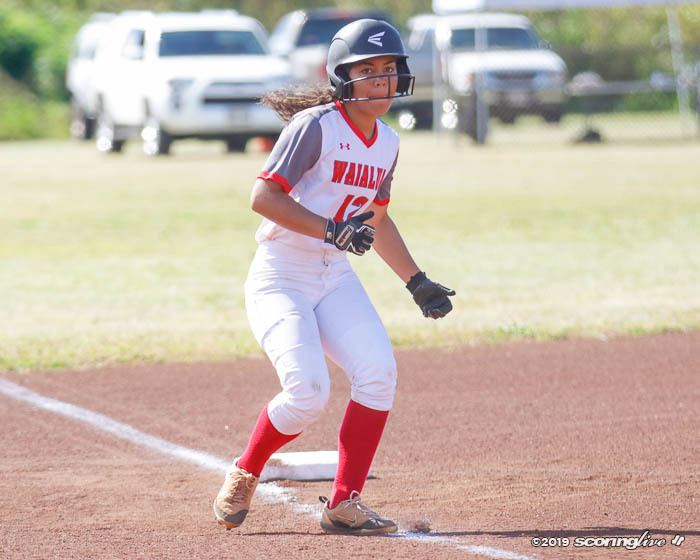 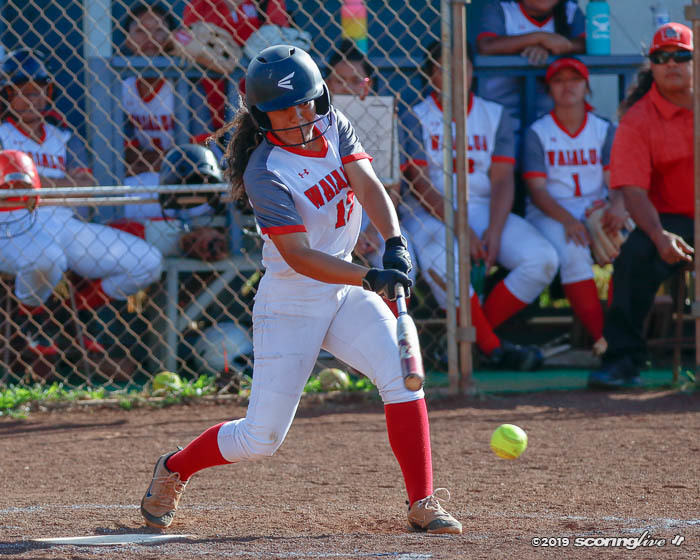 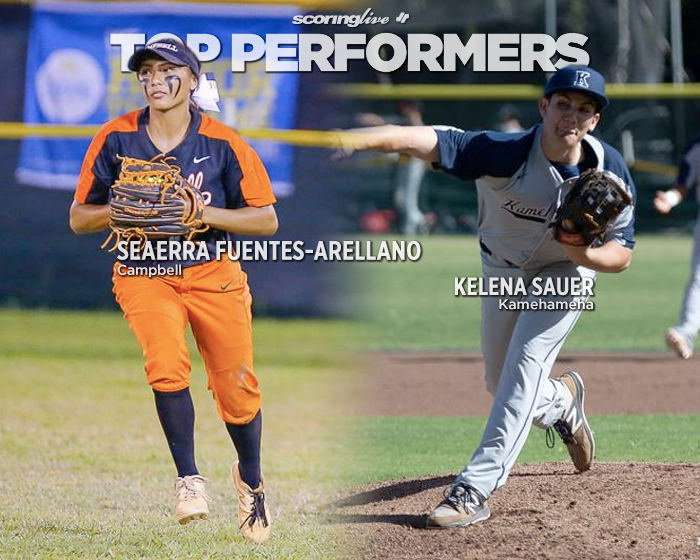 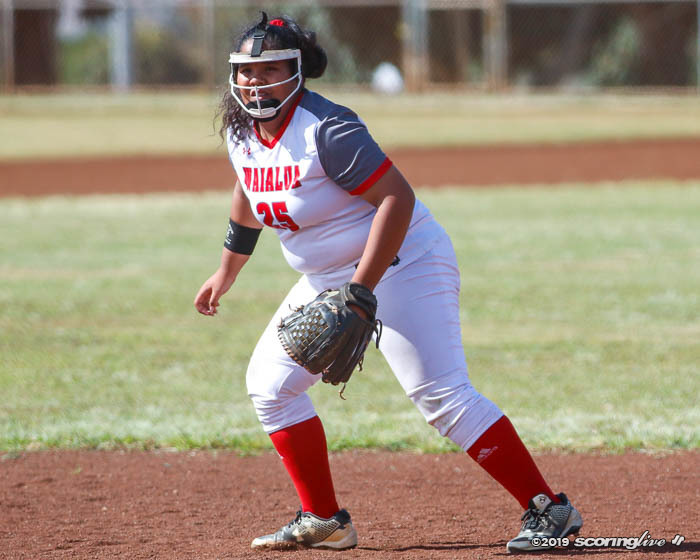 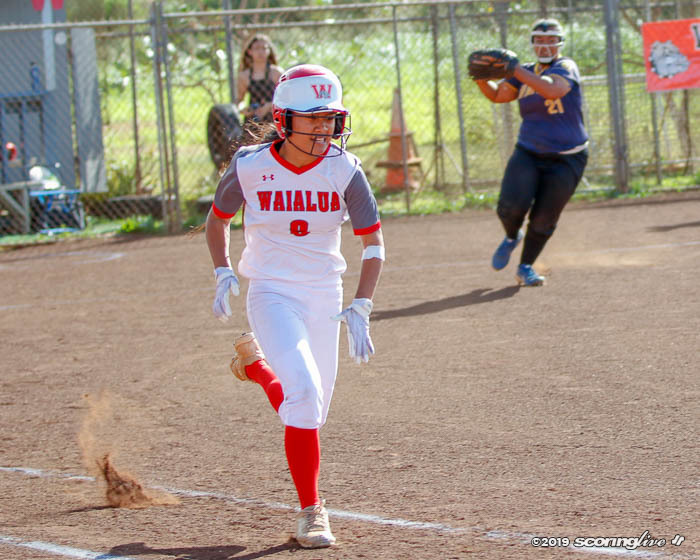 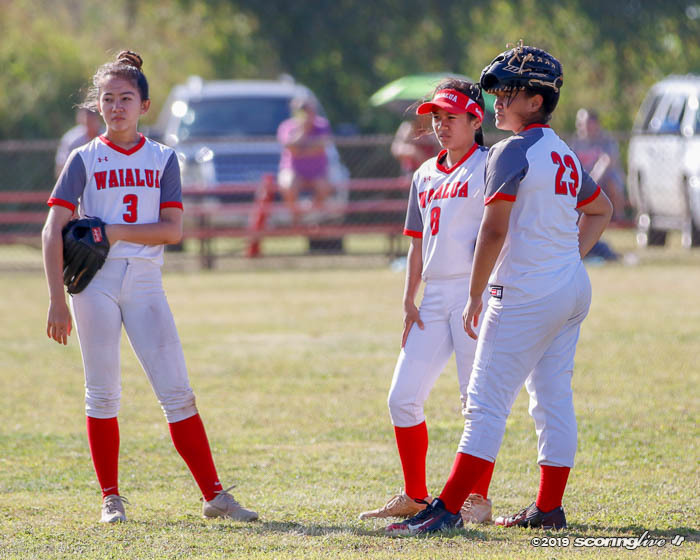 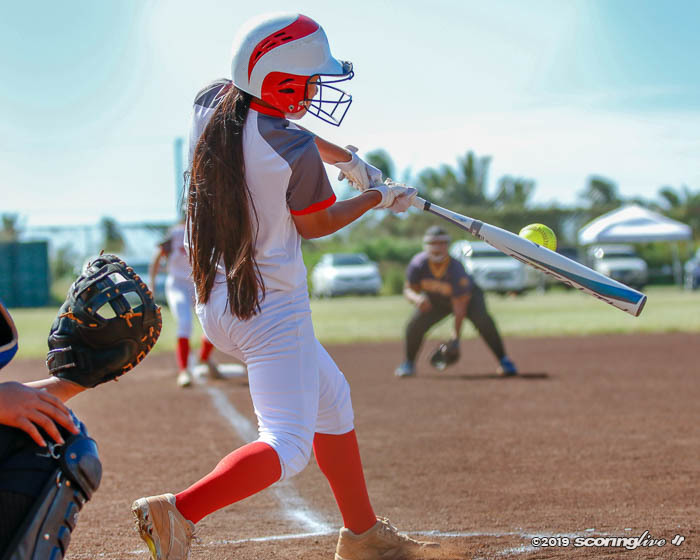 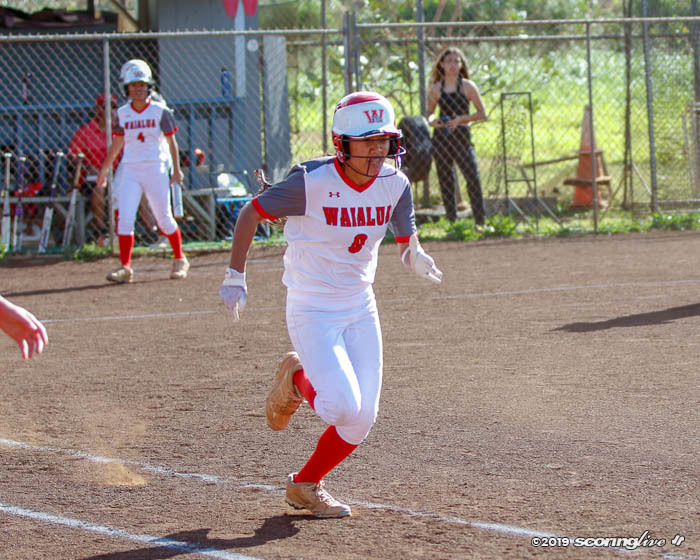 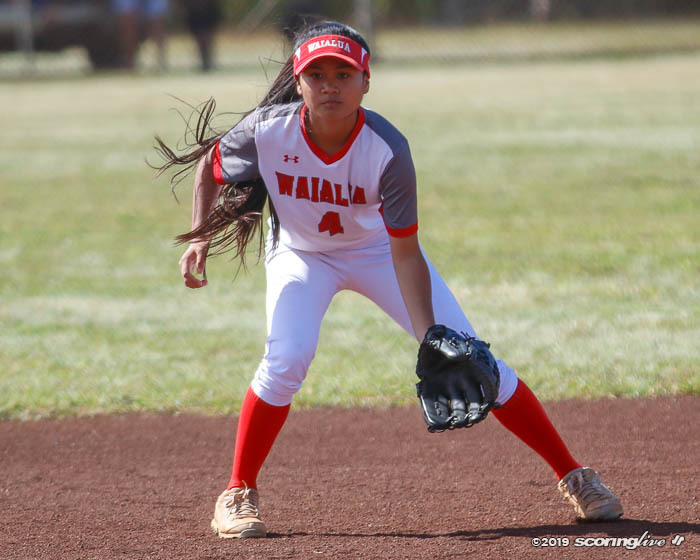 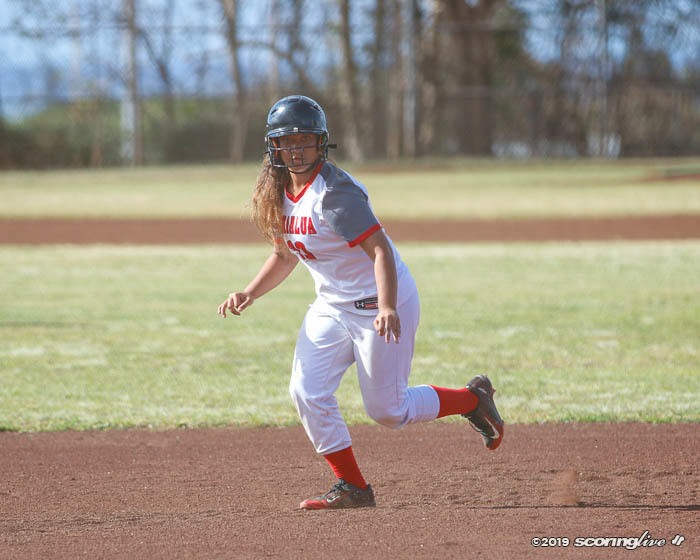 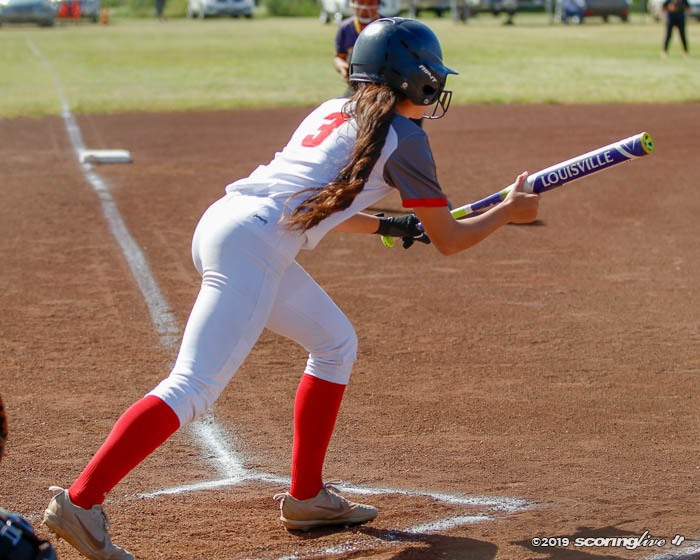 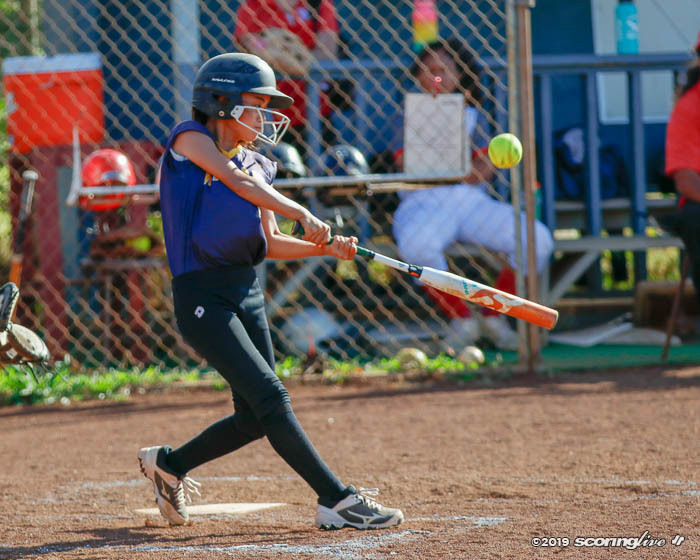 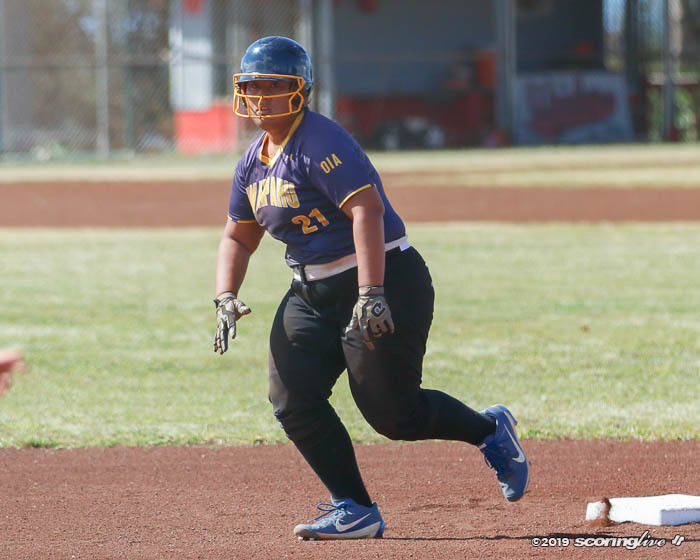 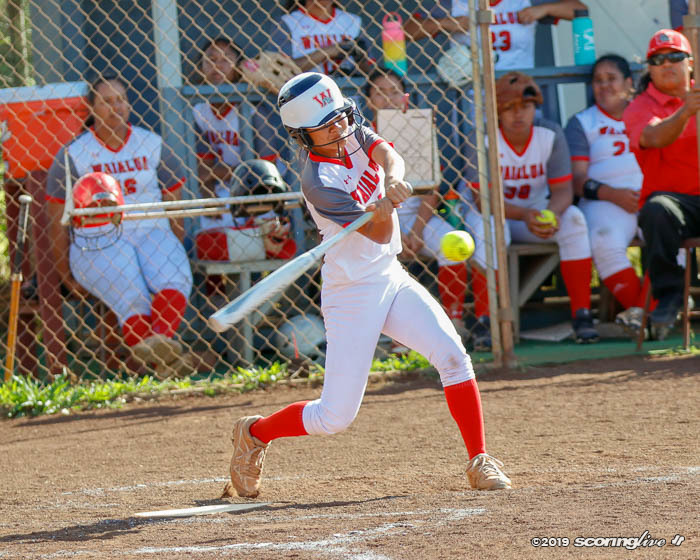 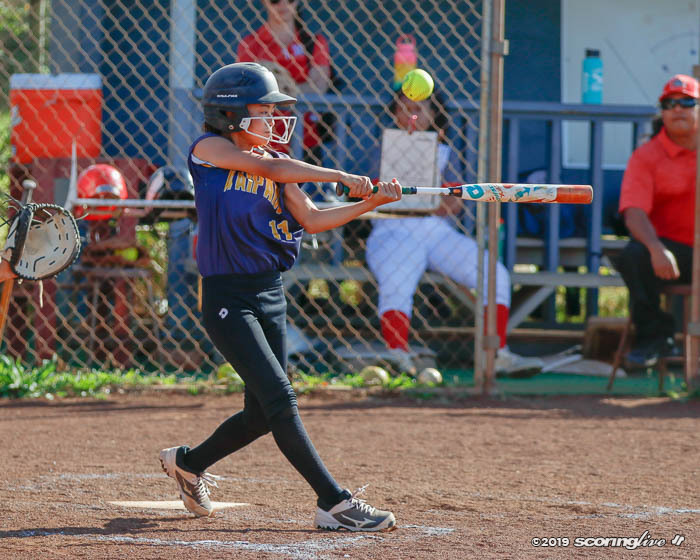 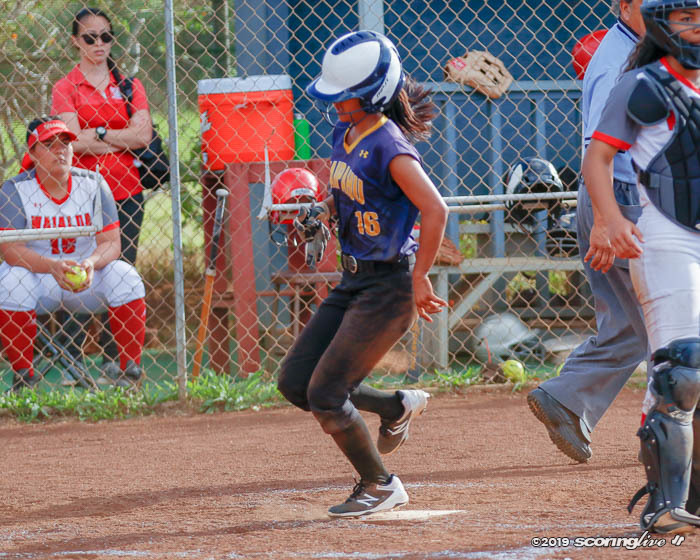 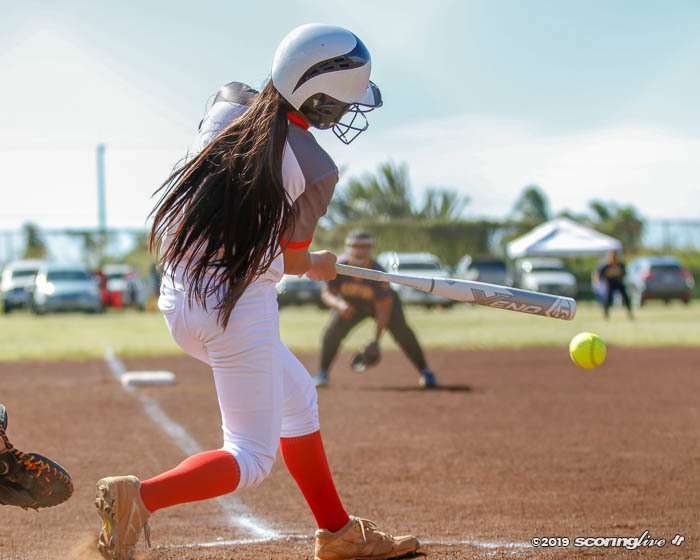 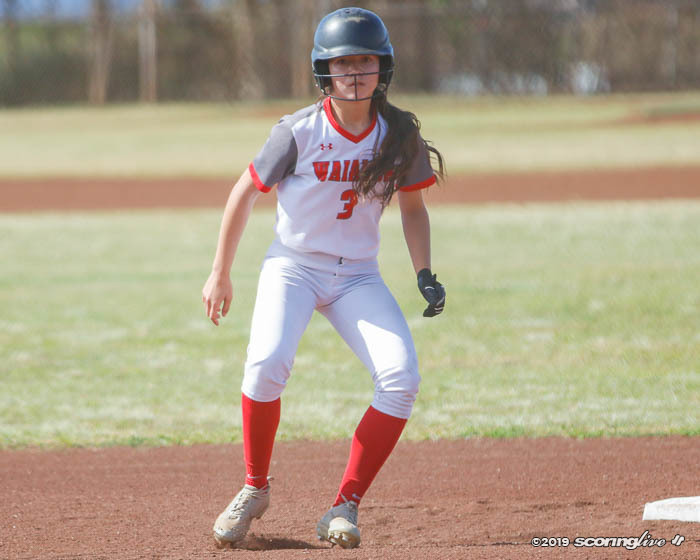 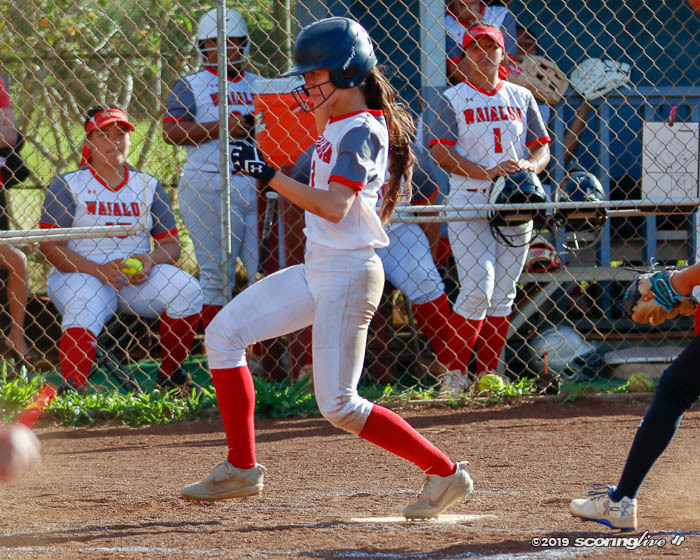 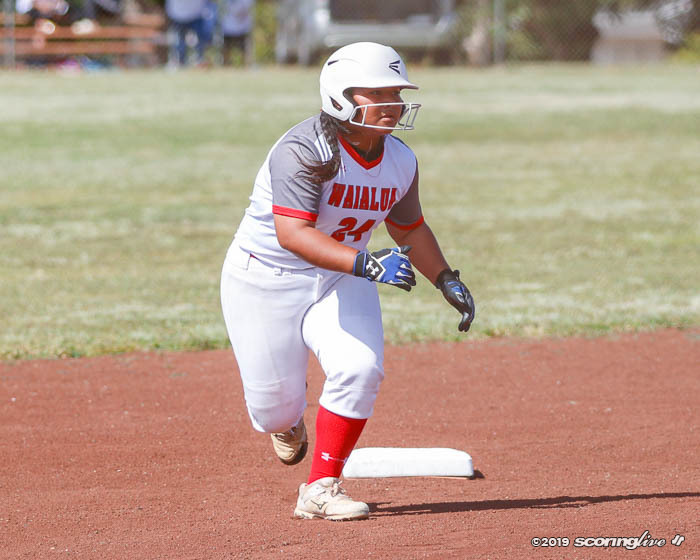 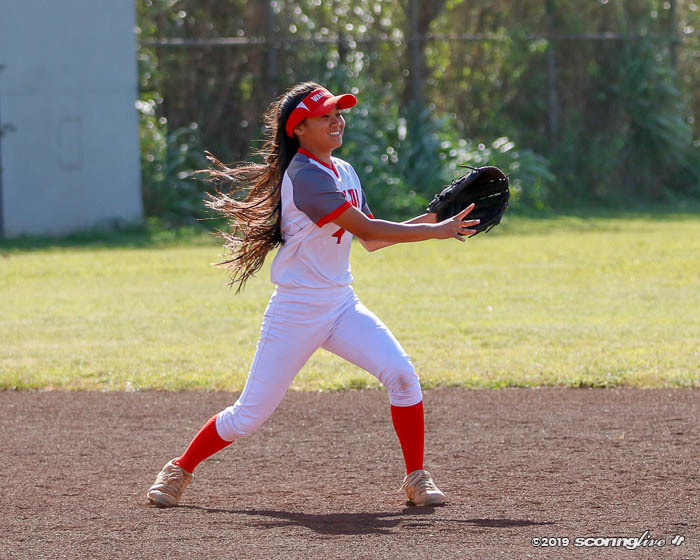 Waialua jumped out to an early lead and never looked back as it handled visiting Waipahu, 6-2, Friday afternoon in an OIA Division II softball contest. 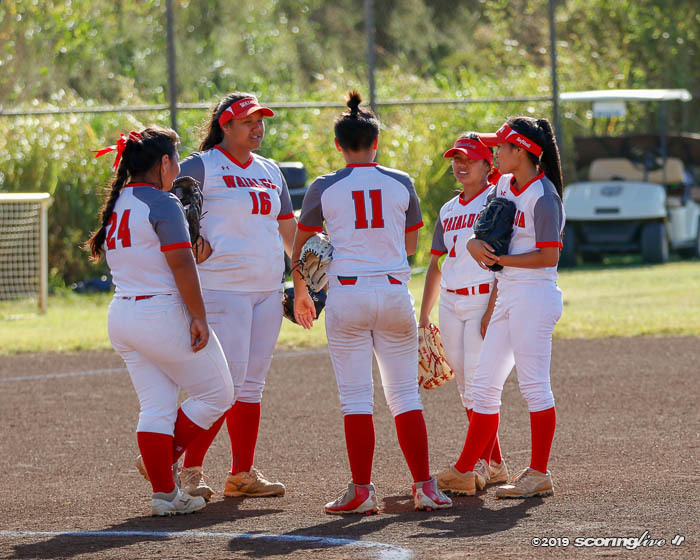 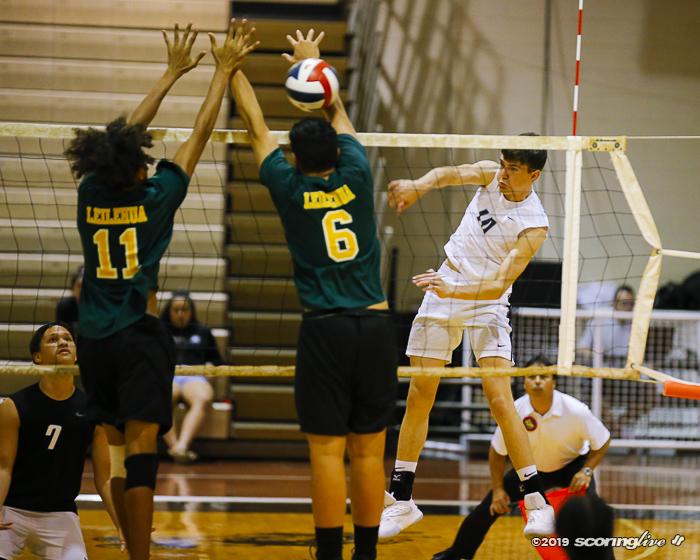 The Bulldogs led 3-0 after the second inning and doubled their lead after the fifth inning to improve to 6-0 atop the league standings. 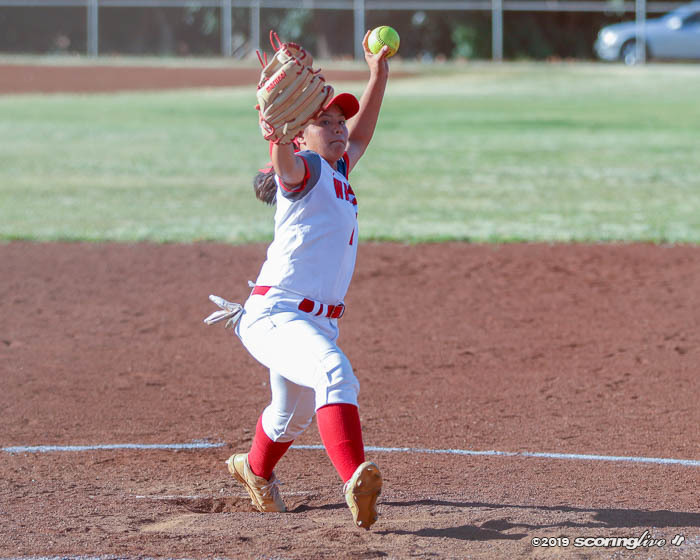 Maura Muniz was the game's winning pitcher, scattering eight hits in a complete game effort with three strikeouts. 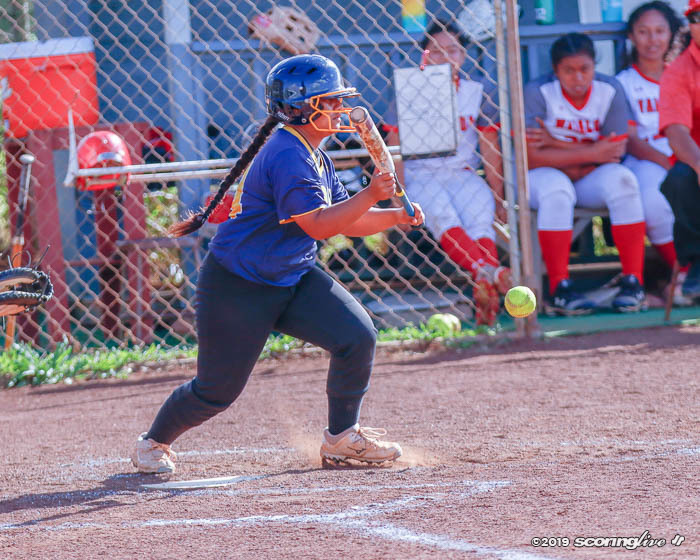 Nohea Apuakehau-Smith hit a two-run homer and Sophia Manalo had a triple and scored twice to lead the Bulldogs at the plate. 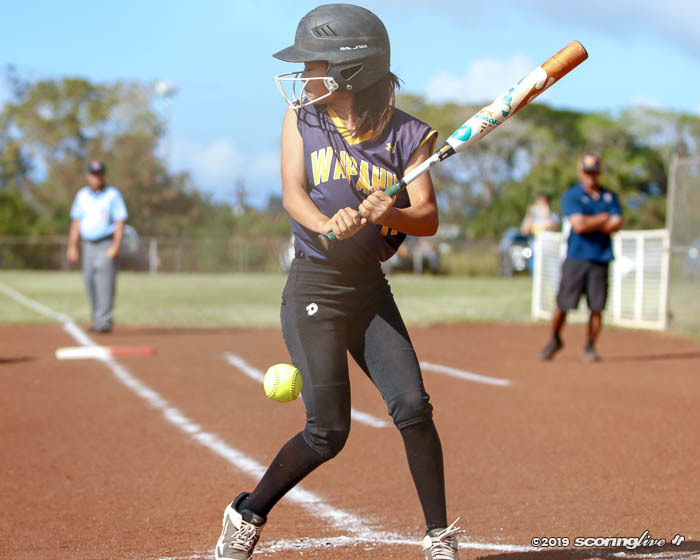 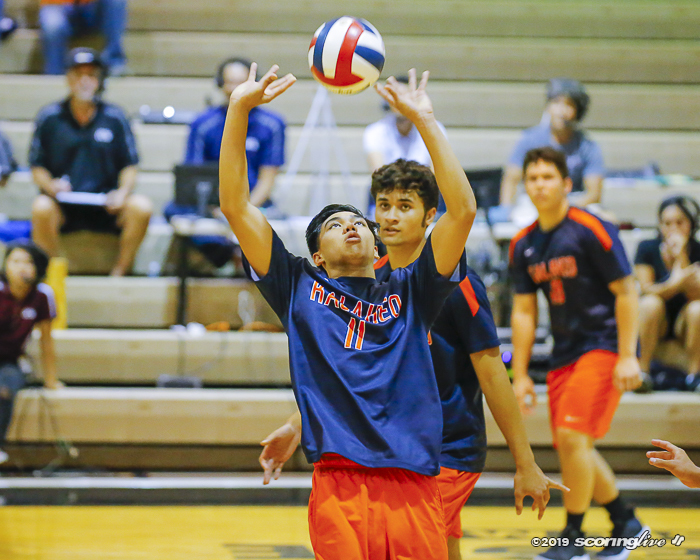 Syan Yamamoto and Kandera Cordeiro-Felise were the leading batters for the Marauders (3-4) with two hits each. 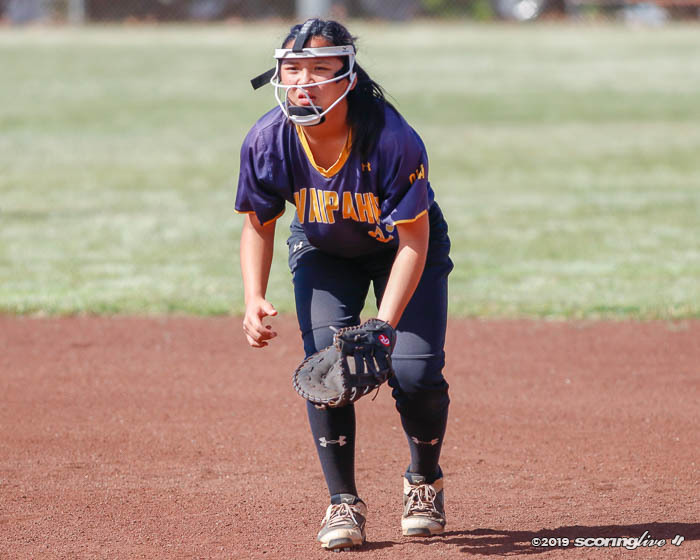 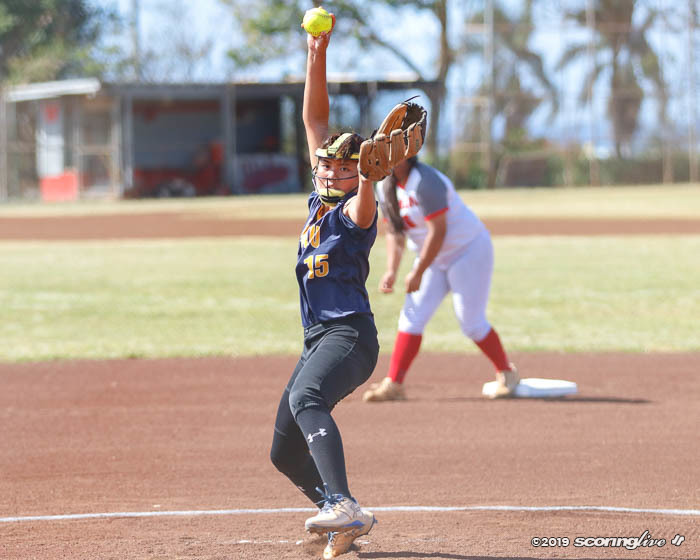 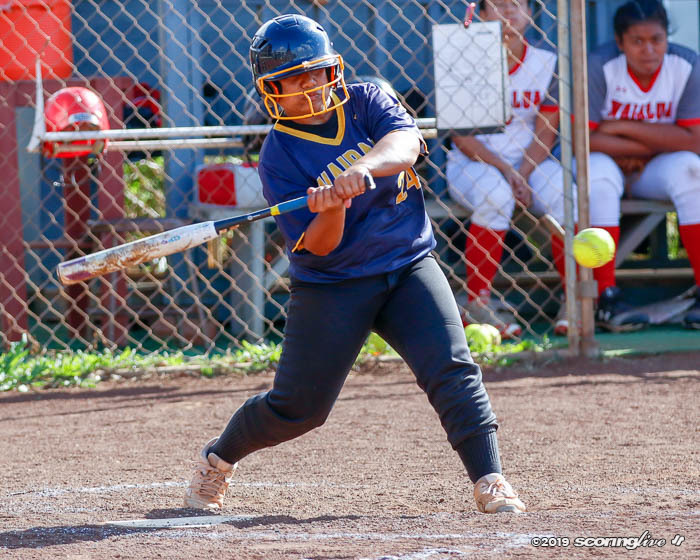 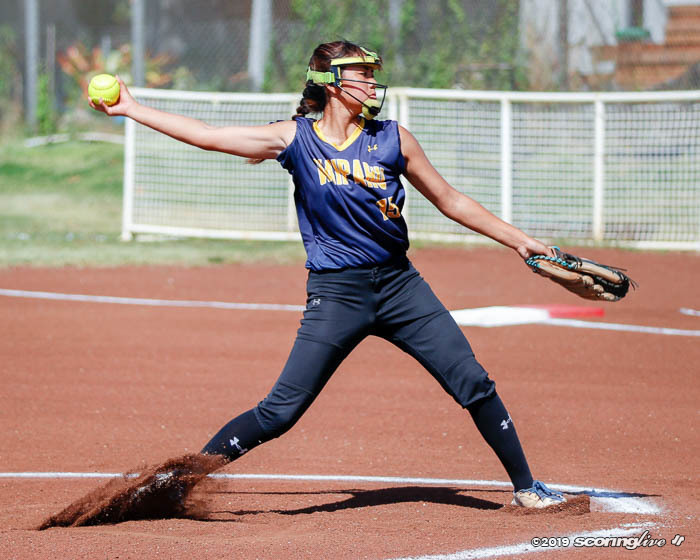 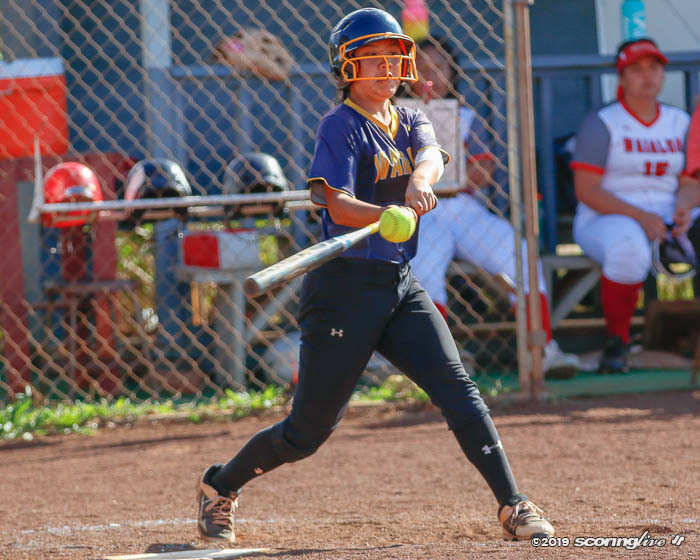 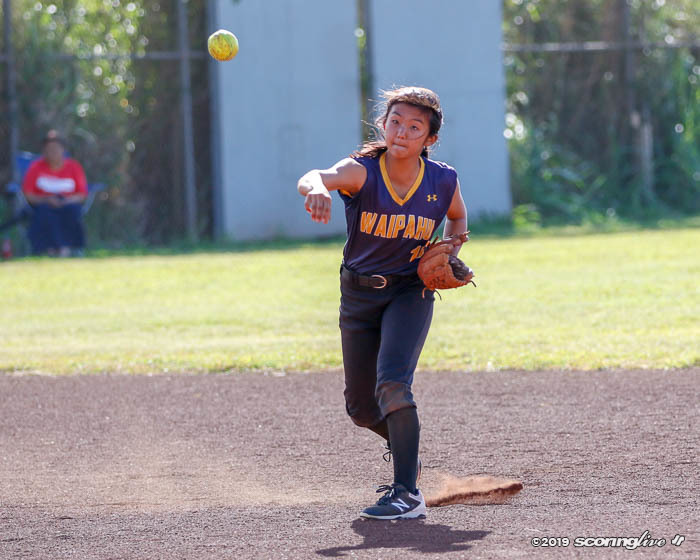 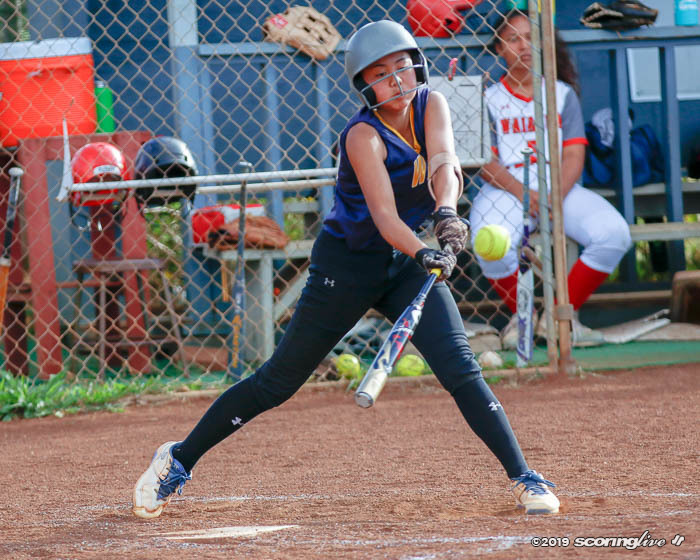 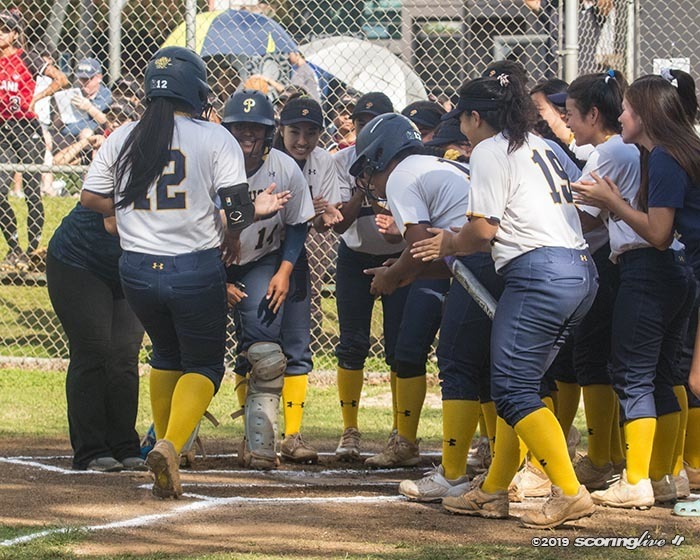 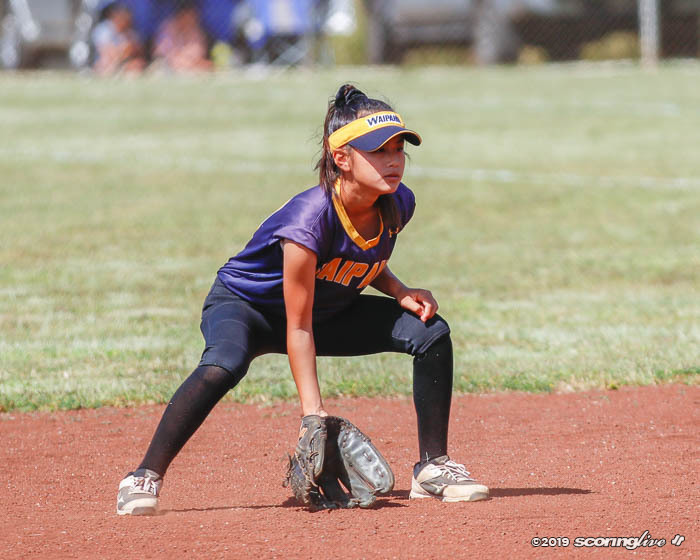 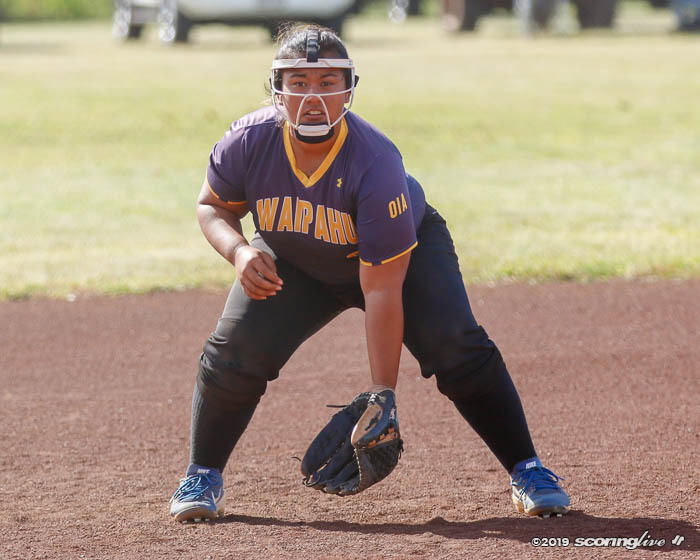 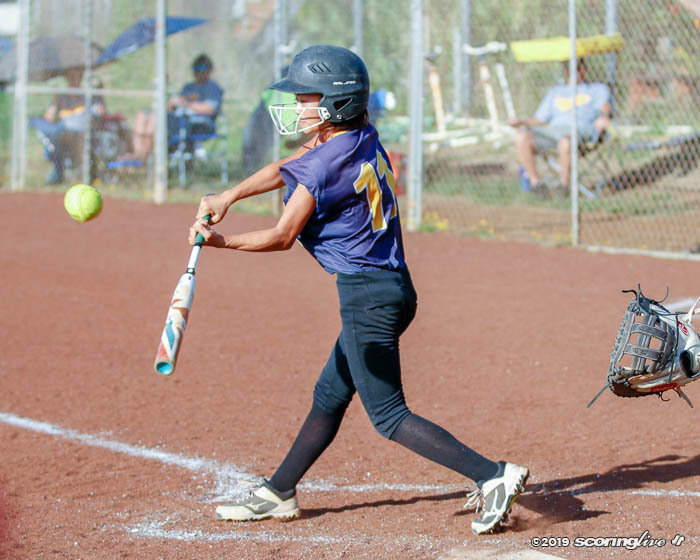 Waipahu pitcher Taylor Fukunaga allowed just four hits in six innings of work with seven strikeouts and had just one earned run charged against her.